So it’s that time of year when Hannah and I (from Fantasy Faces) get our scare and on and create something pretty awesome. Two years ago we created a spooky half faced skull, swan lake and a hollow pumpkin face (which I must say was my favourite one of them all, click here to check that out). This year I wanted create something traditional and a little different so in the end we went for a witch look! 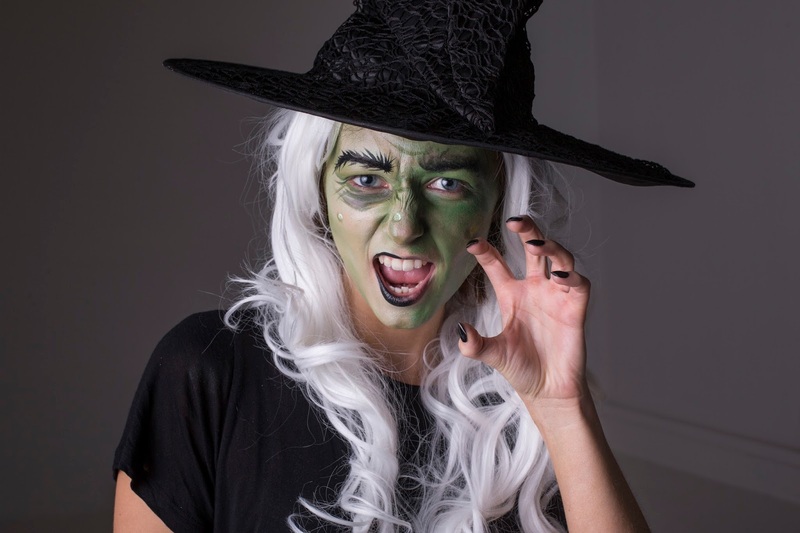 A lot of you guys on my YouTube channel have asked me to create a Halloween look this year so I thought a lot of you would most probably go as witches… I mean it’s pretty easy and traditional right? So to make things a little more interesting, I decided to test out both kids and professional paint against one another- so one half of the face professional and the other using kids paint. It was so much fun so be sure to check that out by clicking here. Of course a witches look is not complete without a set of long scary nails is it? These nails from Bling Art are just perfect- they look spooky, they look great and they are ever so sturdy. Personally I was extremely chuffed with the quality, I mean when I usually buy nails over the counter or on the internet they tend to be… unreliable? But these nails are quite the opposite and I can honestly vouch that they are really sturdy- the glue dried in seconds! So not only are these nails the perfect picks for Halloween but they generally look great all year round too (I’ve already had so many compliments on them). 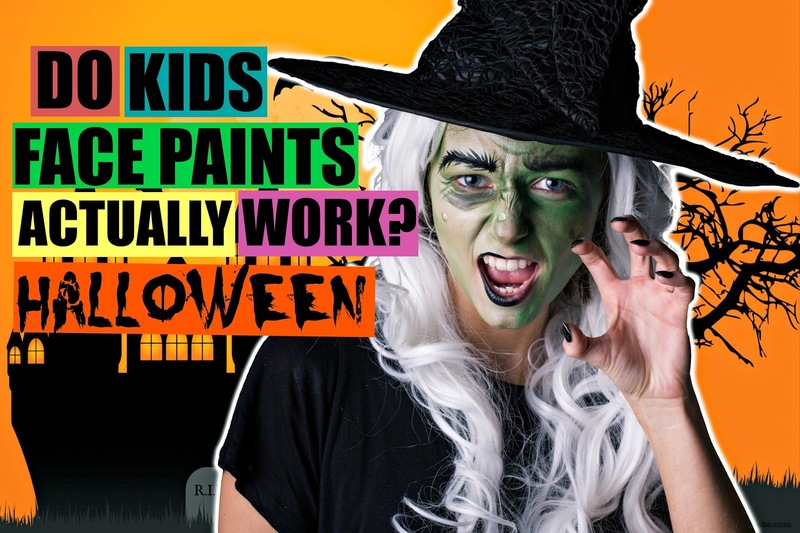 They are really easy to apply and I demonstrate this in my latest Do Kids Face Paints Actually Work video below. So go and check out the range! Next Post My Monthly Corhorted Box| What’s Inside?